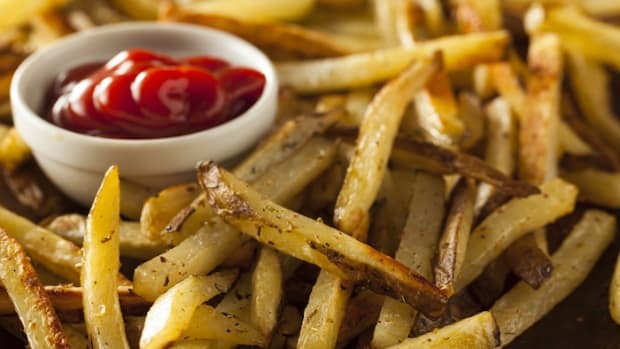 There is no need to nix French fries when it comes to your healthy diet. Instead, it&apos;s all about reinventing the original recipes. 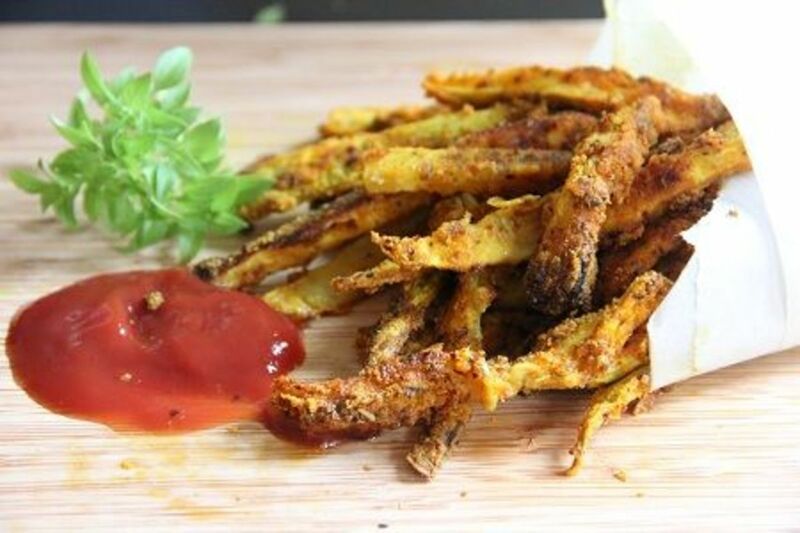 This zucchini fries recipe replaces the carb-heavy white potato with zucchini and bakes it to soft-on-the-inside and crispy-on-the-outside perfection. 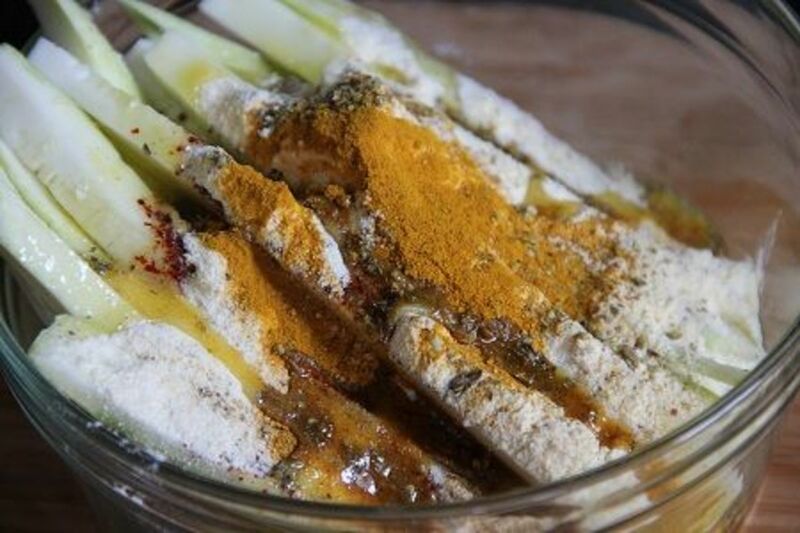 With this recipe, you can eat fries everyday! No fast food is ever too deeply fried or far beyond quality standards to not have a healthier alternative. French fries are a testament to that! 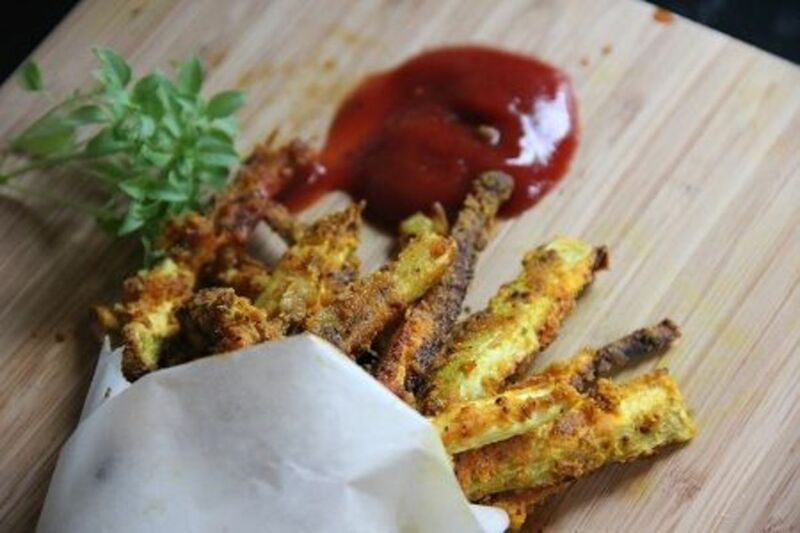 This zucchini fries recipe makes eating fries a treat for both your taste buds and your figure. 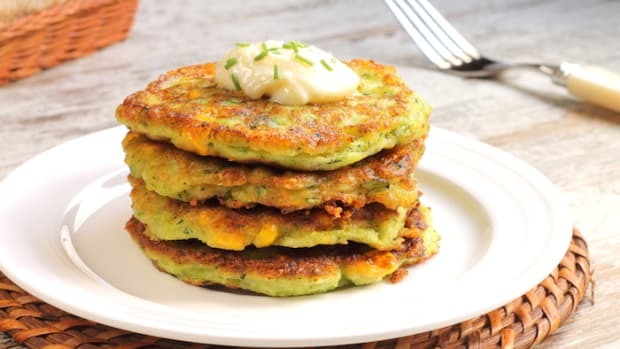 Zucchini is a healthier alternative to white potato because it is much lower in carbs -- it has less than 3 grams per cup compared to white potato&apos;s nearly 20 grams -- and instead provides 10 percent of the recommended daily allowance of dietary fiber in the same serving. The vegetable also only has 36 calories per cup compared to white potato&apos;s 104. 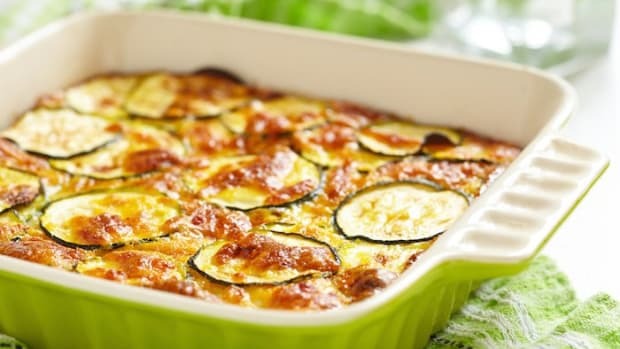 Zucchini is effective in lowering cholesterol, aiding the digestion of fat, contributing to good digestion, preventing cancer, and reducing inflammation. 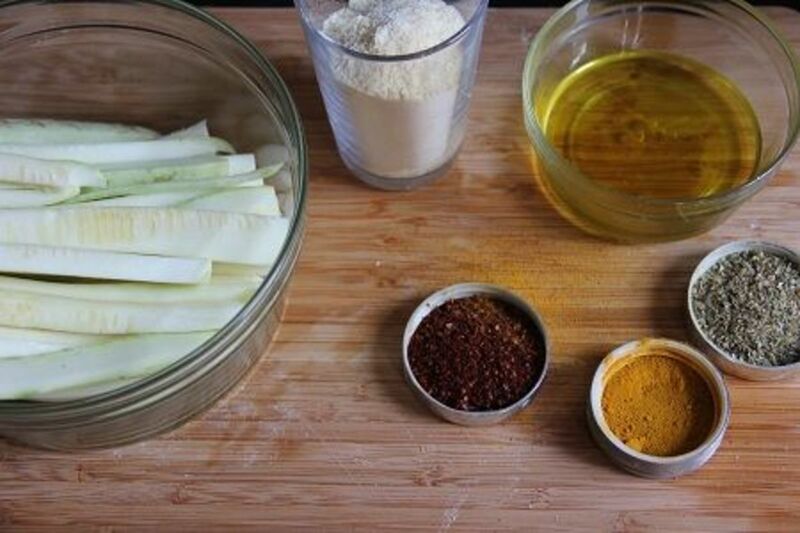 And by baking, not frying, for this zucchini fries recipe, the fat content is significantly lower. 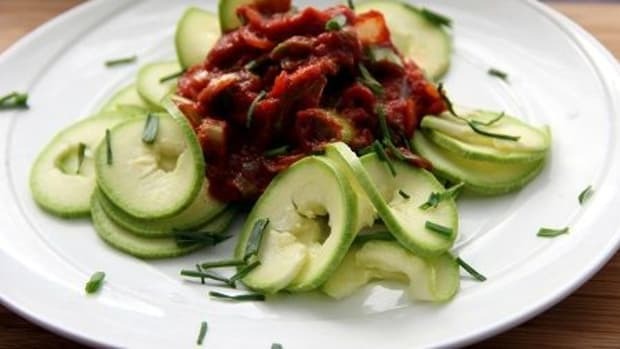 Cut off both ends of the zucchini and slice it along its length into 1/2-inch thick pieces. 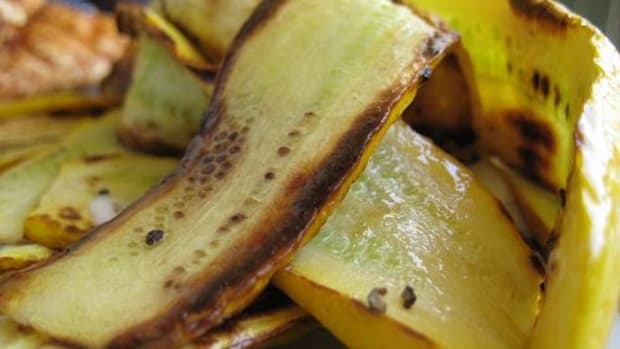 Set aside one of the rounded edge slices and turn zucchini onto its side so it is lying flat. 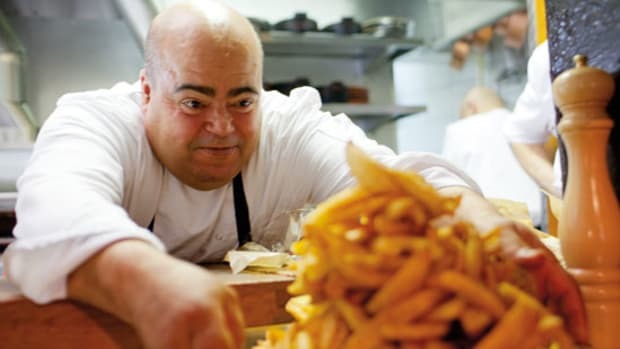 Again, slice lengthwise into 1/2-inch thick pieces to create French fries shapes. 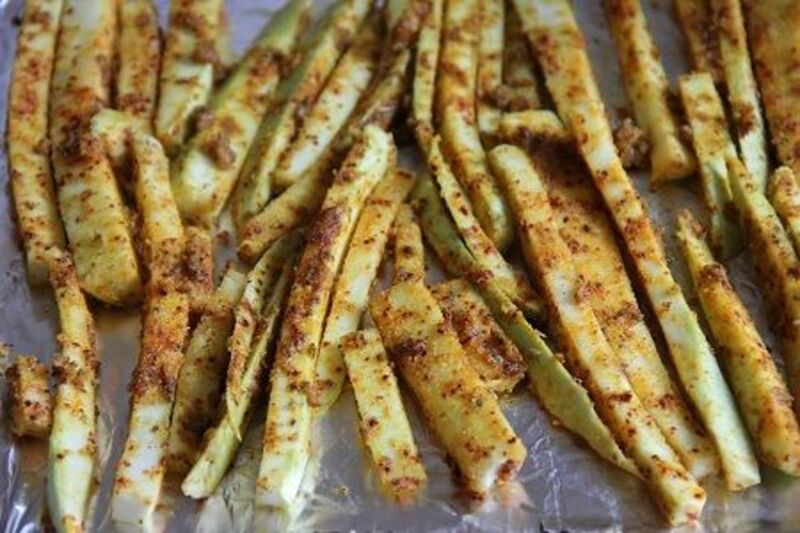 In a medium bowl, toss zucchini strips with corn flour, salt, pepper, turmeric, oregano, red pepper flakes, and olive oil until each fry is evenly coated with the spices and oil. 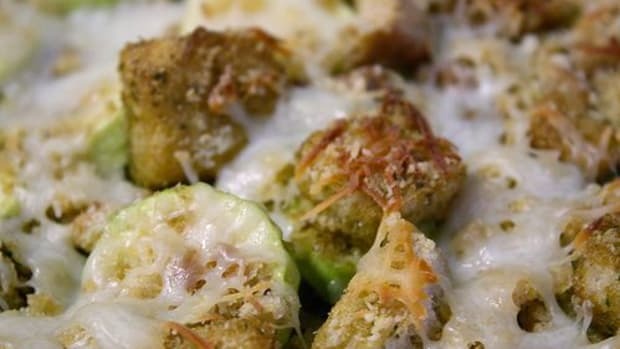 Bake the zucchini fries in the oven for approximately 45 minutes or until browned and slightly crisped. Serve with your choice of herbs and ketchup!